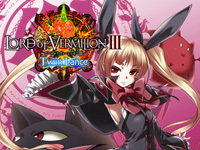 Lord of Vermilion III is updated to ver 3.2 today. 75 new cards are added for a total of 150. This update brings new cards from BlazBlue Chronophantasma (Rachel and Tsubaki), Magic the Gathering, Star Ocean and Shingeki no Kyojin. New familiars cards with new capabilities are also available. 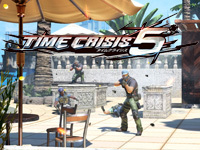 First images and info about Time Crisis 5 are available. The game features a double pedal system allowing the player to move and turn around the enemies. The 55" screen displays continuously 60 fps. For now, 3 stages were unveiled. The gun keeps the recoil effect and is equipped with a button on each side to change weapons. Time Crisis 5 will be out in March 2015 and costs 1980000Yen (14580€). 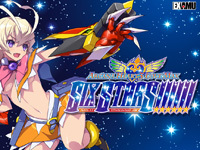 Examu announces Arcana Heart 3 LOVE MAX SIX STARS!!!!!! Examu announced the release of an update for Arcana Heart 3 LOVE MAX!!!!! for this Winter: Arcana Heart 3 LOVE MAX SIX STARS!!!!!!. This new version will add a new character named Korehara Minori and a new arcana: blood ichor. 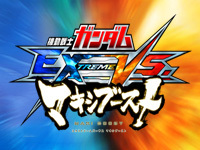 As its predecessor, the game will be released via NESiCAxLive. 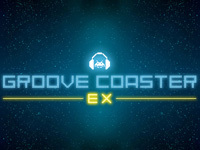 Groove Coaster EX 1.52 starts operation in Japan today. This update adds new songs and new items. Simultaneously to Groove Coaster EX 1.52 release, a high score event is heldbetween the game centers where the game is running. 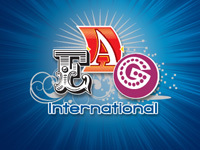 EAG International will be held at the ExCeL London from January 13 to 15, 2015. This is a little earlier than other years so the registration is already opened. 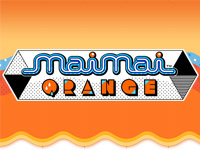 More than 180 companies from around the world will be represented (including Bandai Namco Games and Sega). They will present their latest products, services, technologies and innovation. As usual, visitors can participate to seminars and enjoy a fantastic party in the evening. With an EAG badge, people have access to a new show: the Visitor Attraction Expo held at the same place. The VAE is produced by the British Association of Leisure Parks, Piers & Attractions (BALPPA). Many exhibitors involved in the industry of attraction parks, indoor play center and animal attractions will showcase their newest products. Register for your entry ticket here. 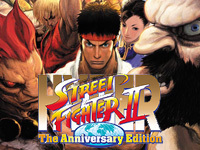 Hyper Street Fighter II is available on the NESiCAxLive network since yesterday. The game has not changed since the original release. The 4/3 aspect is respected, but for display on a 16/9 screen, bands are added to the sides dispaying moves of the characters used. Thanks to the NESiCA card, players can save their data (name, number of wins, earned points,...). 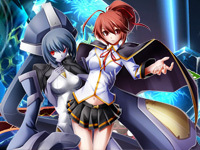 BlazBlue Chronophantasma version 2.0 is out today. This update adds two new characters: Celica A. Mercury and Lambda-11. Various changes have been made related to the distortion drive and the overdrive. Character balance has been refined, see the PDF from Arc System Works to learn more about it. You can watch the trailer here. Today, Bandai Namco unveiled the new Star Wars arcade game at the New York Comic Con. There were some rumours about this game on the Internet since several days. Star Wars: Battle Pod is played in a cabinet similar to Mach Storm. The gameplay is also the same: the player follows a predetermined path and shoot enemies. 4 stages are available: Hoth, Endor, Death Star II and Yavin. A bonus stage allows the player to fly Darth Vader's TIE fighter. 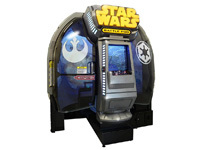 Star Wars: Battle Pod is on location test at Midtown Dave & Busters in New-York until November 2. Check the video: https://www.youtube.com/watch?v=cgYBLRv2_yg.